Curiosity, frustration and passion. If you ask Justin Gold, founder of Justin’s, how his company got its beginning, those three words could sum up his answer. You’ve likely seen Justin’s at your local store. It’s a Boulder-based company that makes almond butter, hazelnut butter, and peanut butter in those cool squeeze packets (and in jars too). The company is an example of what many startups hope to achieve. Justin’s grew out of Gold’s kitchen and into a nationally-distributed brand, but it wasn’t simple and Gold had to make smart decisions and use reliable resources around him to turn his passion into a success. Upon moving to Boulder following college, Gold was living an active lifestyle, skiing, running and biking, but as a vegetarian, he struggled to find a tasty source of protein to fuel his outdoor adventures. He was frustrated that traditional peanut butters lacked variety (smooth or crunchy) and almond butters in the market weren’t very tasty. Using a simple food processor, Gold began to develop an array of unconventional but delicious nut butters. After a roommate found Gold’s culinary experiments to be delicious, he asked Gold if he had considered selling his nut butters, which sparked Gold’s curiosity. But, Gold was worried that he didn’t know the first thing about starting a business, so he turned to the local community for assistance. With the help of local mentors and countless hours spent researching at the Leeds School of Business’ library at the University of Colorado Boulder, Gold developed a business plan. Family and friend support encouraged Gold to launch Justin’s at the Boulder Farmers’ Market where the nut butters were a hit. Working with a kitchen on nights and weekends to make the delicious nut butters, Justin’s was still too small to sell to grocery stores, as he didn’t have a distributer. He decided to leverage the success of his nut butters at the farmers’ market to convince a local Whole Foods Market to allow him to personally deliver, stock and demo his nut butters in the store. Whole Foods gave Justin’s a shot. From there, a blossoming partnership between Whole Foods and Justin’s began. In 2007, Justin’s was struggling to sell his nut butters despite the opportunity Whole Foods afforded him. On a mountain bike ride, he was eating an energy gel, but was craving some of his protein-packed nut butter when it occurred to him — he should sell the nut butter in a single-serve squeeze pack. Unfortunately, at the time, Justin’s did not have the funds to buy new equipment and packaging necessary to create these single-serve squeeze packs. Fortunately, Whole Foods aims to support local producers nationwide and they created the Whole Foods Market Local Producer Loan Program. Justin’s was the first company to benefit from Whole Foods’ program and the loan allowed Justin’s to buy equipment and rent space in order to create the squeeze packs. Gold has had many experiences that startups, including the teams at Boomtown, can learn from. He found that several decisions made along the way helped contribute to the success of his company. Gold was willing to fail, for one. Gold realized the right time to pivot, as well. Initially, Justin’s squeeze packs were featured in the energy bar section, but they were failing. Finally, Gold was diligent in hiring people who fit the company’s culture, were smart and were able to help Justin’s grow in a meaningful way. The Whole Foods Market Local Producer Loan Program twice afforded Justin’s the opportunity to grow in their stores. Gold capitalized on the resources available to Justin’s and hasn’t looked back since. 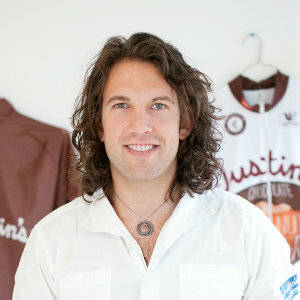 As Justin’s expanded to Whole Foods Markets nationwide by 2009, the company was able to pay the loans back and continue to expand. Now, Justin’s features seven manufacturing locations, a sales and marketing office in Boulder that employs 40 staffers and is on track to be a $100 million business in the next few years.